The shock result of the Eastliegh By election of 2013 gave a massive boost to UKIP, and a blow to the Conservatives. 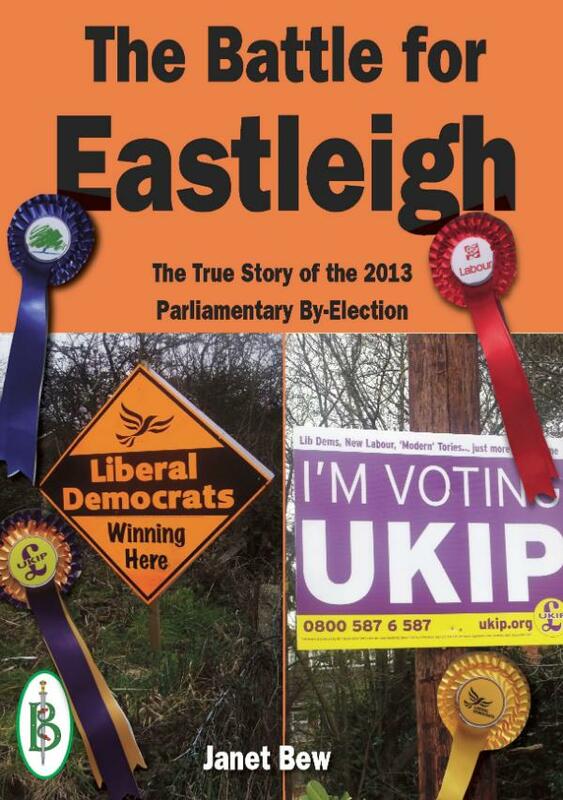 This is a gripping account of the Eastleigh Parliamentary By-Election written by an experienced observer of Parliamentary By-Elections who charts the rise, and fall, of the different parties. The resignation in disgrace of high-profile Liberal-Democrat Member of Parliament Chris Huhne threw the national spotlight on to the quiet Hampshire town of Eastleigh and its nearby villages. This is a key swing seat that was held by the Conservatives throughout the Thatcher and Major years, but went LibDem in a spectacular by-election in 1994. In 2013 another by-election was called at a crucial time for the key political parties. The 2013 By-election was quickly seen by political commentators as being a key test for Prime Minister David Cameron and his leadership of the Conservative Party. If he failed to win this marginal he would be in trouble. Similarly if the LibDems did not hang on to it, and do so convincingly their leader Nick Clegg would face serious questions from his own Party. And after recent successes in northern England, Nigel Farage and UKIP were under pressue to do well in the south. But while the commentators sat in their armchairs, the candidates and party workers were slogging it out on the streets. Very soon the Eastleigh By-election developed into one of the closest, bitterest and least predictable by-elections of recent years. And the final result came as a surprise to even the most seasoned commentators.